This year, CPE selected 10 fast-rising executives to feature as Stars to Watch. The profiles appeared in the April 2011 issue of the magazine; what follows are further insights from those that have worked with them as clients, managers and in other positions, as well as words of advice from these successful 40-and-unders. 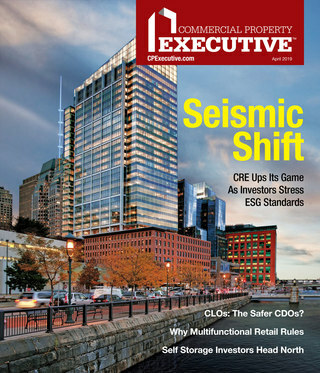 This year, CPE selected 10 fast-rising executives to feature as Stars to Watch. The profiles appeared in the April 2011 issue of the magazine (also available through our digital edition or by clicking here); what follows are further insights from those that have worked with them as clients, managers and in other positions, as well as words of advice from these successful 40-and-unders. Memorable Achievements: Black started sustainability efforts in 2007 installing sensor devices and LED exit signs. A year later, he began a portfolio lighting retrofit that encompassed many common areas and garages and ultimately cost $1.4 million but saves $600,000 a year. In all, he has developed $4 million in energy conservation programs, saving $1.5 million a year; he expanded the construction recycling program to include more than 1.2 million square feet of carpet and ceiling tile diverted from landfills; and he secured more than $1.4 million in state and utility incentives. After he completed portfolio benchmarking in early 2011, six properties were awarded the U.S. EPA Energy Star label, and 360 Hamilton Ave. in White Plains is currently registered with the U.S. Green Building Council for pursuit of a LEED EB Certification, anticipated before the end of 2011. Black himself is a LEED Accredited Professional, and is continually educating himself in sustainability advances. Advice to Others: “Make it what you want it to be—I don’t think I’ve ever let anyone dictate my career; there’s a lot of opportunity.” “Don’t ever be two dimensional. … Diversify.” —S.S. 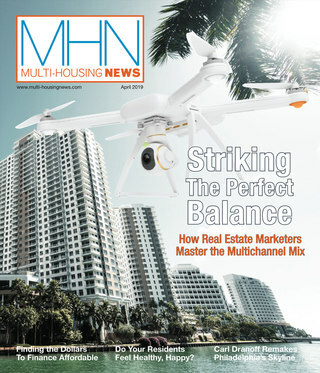 Memorable Achievements: Last year, Dempsey worked on a 209,000-square-foot office deal for PricewaterhouseCoopers L.L.P. in San Jose, a years-long project, and 210,000 square feet in Atlanta; a 117,000-square-foot office lease for News Corp./Dow Jones; and a 103,000-square-foot office lease for Fried Frank Harris Shriver & Jacobson in Washington, D.C. In 2009, he worked on a 90,000-square-foot lease for Eli Lilly and Co. in a new development in the East River Science Park. In recent years, he has also helped facilitate development of the 1.6 million-square-foot New York Times building and the 790,000-square-foot PricewaterhouseCoopers global headquarters, and brought Aon Corp.’s Midtown and Downtown Manhattan offices back together in Lower Manhattan, also helping it dispose of its Midtown space. What Others Have to Say: “The wonderful thing about Tim is he’s a true real estate professional but doesn’t lose sight of what the client’s requirements and needs are,” observed Denise Eccleston, director of global account management in Disney’s corporate real estate services division, who has worked with him for 10 years as both of them have expanded their geographic responsibilities. She praised the fact that he does whatever he can to achieve what the client wants without trying to steer them in another direction. Secrets to Success: His father taught him to always be respectful. Dempsey also believes it is important to work very hard, make sure the client comes first, be tough but respectful when negotiating and make sure you are always prepared. Advice to Others: Be diligent, work hard and don’t compromise your integrity. “There’s a lot happening and changing in this industry right now. It’s all about keeping yourself educating, having the most current information.” —S.S. Memorable Achievements: In late November 2010, Freitas closed a $33 million distressed debt acquisition of 109 partially completed age-restricted condominium units in Clifton, N.J., in a very short time window. Last year marked a return to activity for Hudson Realty, which was focused on its existing properties during 2009, and a number of other deals on which he worked last year have closed this year, including a first mortgage on entitled land with retail in Austin, the second phase of a mixed-use property for a repeat client, and a first mortgage on an 861-unit multi-family property in Houston. What Others Say About Him: “He’s just exceptional,” observed Hudson Realty managing director of origination Spencer Garfield, noting Freitas’ uncommon combination of analytical skills and an ability to understand real estate. “”He’s risen up, but more important, he’s embraced various aspects of the business, which not everybody has the capability to do and very often (they) don’t have the desire to do. … Perry wanted to be a well-rounded real estate person and took it upon himself to learn. He’s one of the most valuable players on the team.” Client Jason Post, president of Post Investment Group, calls him “a consummate professional (who) gets it done in an environment where uncertainty is prevalent. He brings an aura of comfort and reliability to a transaction.” With 10,000 units around the country, Post Investment Group specializes in rehabilitating and stabilizing heavily distressed assets. Working with the challenges of meeting timelines on such assets, Freitas is able to contribute perspective and insight from the due diligence stage through post-close, Post added. Hardest Lesson Learned: Never be afraid to bring forth bad news, whether it is a mistake or something uncovered during due diligence. Secrets to Success: Work hard, but more important, work smart. “Try to find ways to achieve my goals more efficiently.” In financial modeling, he has tried to make the process simpler and more efficient. Best Advice Received: “In this business, integrity, honesty and transparency … will save people a lot of time and money.” It will come back as a benefit, as well. Advice to Others: Always enjoy what you do. It’s difficult to excel in something if you cannot be passionate about it. —S S.
Memorable Achievements: As co-chair of Wood’s Green Team, Grady led the company’s transition toward more energy-efficient and environmentally responsible building practices. With her help, the Boston office had three deals under contract within a few months of opening. Though one fell through due to a lack of bank and investor interest, another, Alta at Indian Woods in Stoughton, Mass., closed in January 2010 and recently finished construction with 154 units, 25 percent of which are affordable. She managed the third deal, a 116-unit multi-family project at the former site of Brigham’s ice cream factory in Boston’s Arlington Center, from start to finish. The process involved attending more than 25 zoning and planning board meetings in order to get the height and frontage variances need for the project. Secrets to Success: Cultivate a unique set of skills and knowledge, but make sure to keep them in context. Advice to Others: Keep pushing forward and fighting for what you believe in. It will be noticed by the people that matter. —M.R. Memorable Achievements: Kontokosta launched the Center for the Sustainable Built Environment at New York University’s Schack Institute of Real Estate, which works to improve decision-making and sustainable practices in the real estate and construction industries. The center now boasts a 40-person student committee and has earned major projects with the city of New York, the United Nations and various federal agencies. Specifically, the United Nations Environment Program picked the center as a partner on a new initiative to establish baselines in global greenhouse gas emissions from the building sector. And Kontokosta’s KACE Group recently received approval for what will probably be the first LEED Platinum-certified winery in the United States. What Others Have to Say: “Constantine is a brilliant, young academic and entrepreneur,” observed James Stuckey, dean of the NYU Schack Institute of Real Estate. Secrets to Success: Increase your amount of knowledge over the long term. Advice to Others: Embrace your passion for sustainable development. There are many ways to improve your community. —M.R. Memorable Achievements: Kunofsky started the Net Leased Properties Group for Marcus & Millichap. He has run the sale-leaseback program for Carrols Corp. for the past few years. He also sold a 29-property portfolio for Cole Real Estate Investments, a large portfolio for Ruth’s Hospitality Group and some larger industrial space for Spirit Finance Corp. Other clients include Whole Foods Market, NPC International, Southern California Pizza Co., Meritage Hospitality, Golden Corral Restaurants, Sentinel Capital Partners and Golden Gate Capital, among others. What Others Say About Him: “He does what he says. Sometimes it takes enormous tenacity on his part,” said Alan Vituli, chairman of Carrols Corp., for which he has sourced numerous sale-leaseback deals during the past six to eight years. “When he says he’s going to do (something), it’s not simply his intent but all of his energy is behind it and he gets it done.” Peter Mavoides, who is currently managing director of STNL Investors and worked with Kunofsky while president & CEO of Sovereign Investment Co., termed him “one of the most consistent producers” and “one of the most responsive,” someone who is very knowledgeable about sale-leaseback structures and capable in managing both the seller’s and buyer’s expectations and structuring transactions that are amenable to both sides. Secrets to Success: Work harder than the competition and really try to please clients. “It all comes down to work ethic.” Also, building relationships, placing emphasis on meeting the people you’re doing business with and visiting the properties. Best Advice Received: His father taught him to treat people with respect and never burn a bridge. Advice to Others: Work hard, be diligent, be loyal to your customers and try to give the best advie you can to clients. Also, specialize and be able to handle rejection well. —S.S. Memorable Achievements: In 2010, Orchard closed $28.7 million in construction financing for a 50,000-square-foot medical facility Nautilus Group is developing for the University of California at Los Angeles’ Santa Monica campus, a deal he started working on in the first quarter of 2009 and closed a year later. Other major deals in recent years have included a $26.3 million bridge loan for the acquisition and repositioning of a 65,000-square-foot office building in Del Mar Heights, Calif.; $28.4 million in a senior loan and preferred equity for the repositioning of a Southern California multi-family portfolio and a $28 million permanent loan for a medical office building in West Los Angeles. He also was instrumental in winning and placing a $70 million CMBS structured financing for a mixed-use center in Scottsdale, Ariz., and a $120 million office deal, among others. What Others Say About Him: He is “already sitting in on partner meetings” because of his ideas for company improvement, noted Gary Mozer, principal with George Smith Partners. “Our culture is you can do whatever you want as long as you’re productive. He has always added so much value on both the deal side and the corporate side.” He termed Orchard a “leader of the next generation of this company. Everybody loves him.” Put in Randy Miller, president of Nautilus Group, “He goes beyond being a mortgage banker to being an extension of our development team.” The Santa Monica project was particularly challenging because it was financed in a down market, an especially difficult time to obtain construction financing. “I think Steve’s persistence got it done,” Miller observed. Best Advice Received: “Tuck in your shirt.” His grandfather taught him actions communicate respect, and respect for people, their time and their endeavors is a prerequisite for delivering quality work in a service business. Practicing being respectful in small, tangible ways improves performance and builds goodwill. Advice to Others: Don’t be smarter than the market. The results of all your hard work and brilliance have a tendency to revert to the mean. So if you find yourself way out in the lead, be careful. —S.S. Secrets to Success: Tenacity and a desire to expand his skill set. Best Advice Received: Keep your teammates in good spirits with positive affirmation. Advice to Others: “Maintain your desire. Make sure to remain focused on developing a full skill set. People who rush toward finishing short races have more challenging careers than those who make sure they have all the tools, rather than short monetary success.” —M.R. Memorable Achievements: Tse was the first to apply Value at Risk to measure leverage risk in real estate. She helped created the Jones Lang LaSalle Global Real Estate Transparency Index, was the youngest member of the advisory board for the Program in Real Estate at Cornell University and a 2010 CREW Network 20 Under 40 award winner. Greatest Challenge: Balancing work and personal life, since she tends to spend her personal time developing and working on projects. Secrets to Success: Having mentors, working hard, being ethical and open-minded, always learning from others. Best Advice Received: Her father taught her that credibility and integrity are more important than anything else. Advice to Others: Finding mentors is very important. —S.S. Memorable Achievements: As head of the U.S. global corporate services division, Weinstein has played a key role in securing such Fortune 500 accounts as Morgan Stanley, URS Corp. and McAfee Inc. He was named one of real estate’s “Heavy Hitters” by the Dallas Business Journal in 2010. As head of the McAfee account, which encompasses 2 million square feet, he completed McAfee’s 242,012-square-foot global headquarters deal in Santa Clara, Calif., in 2010, which earned him its Award of Excellence. He also secured a 60,000-square-foot lease in Richardson, Texas, for Id Software, a pioneer and leading innovator in the PC gaming industry in 2010. Advice to Others: “This is one of the most challenging, but most rewarding, industries to get into. It takes a tremendous amount of persistence to build a reputation, so make sure to surround yourself with the right team.” —M.R.